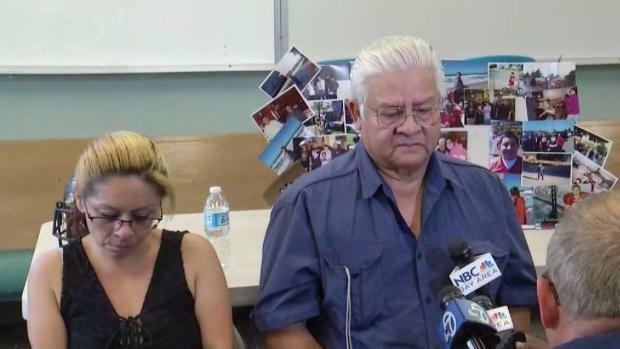 A grieving grandfather on Tuesday announced a monetary reward in the hopes of unearthing any information about the unsolved shooting death of his 19-year-old grandson. Joseph Viramontes was found dead near Toyon Elementary School in East San Jose back in late March, but police have yet to identify a suspect or determine a motive. 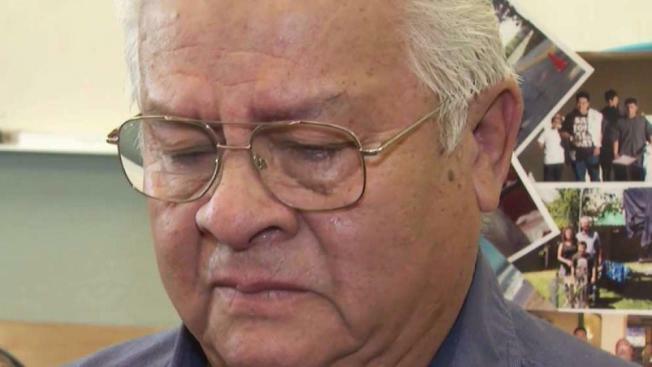 Carlos Partida has offered $5,000 of his own money for any information regarding his grandson's death, which still pains him to this day. "If you got any kids, you don't want to hear this from a detective or the police," Partida said Tuesday, choking back tears. "You don't want to hear this. It will tear you inside out. I got on my knees. I wanted my grandson back, but I couldn't bring him back. It still hurts." A grieving grandfather on Tuesday is expected to announce a monetary reward in the hope of unearthing any information about the unsolved shooting death of his 19-year-old grandson. Bob Redell reports. Partida does not believe that the fatal shooting was a random crime. Rather, he thinks that whoever killed his grandson knew the teenager. Partida and his daughter, Sara Partida, remained committed to finding closure. "All I want is just justice to be done," Sara Partida said Tuesday. "Whoever did this to my son please come forward. That's all I ask." Viramontes played for the San Jose 49ers football team and was known simply as "Smiley," according to his former coach Scott Silver. "He was a great kid," Silver said following Viramontes' death. "The reason I called him that was because he was smiling all the time. He was very respectful and very pleasant to be around." The teenager was raised by his grandfather since he was an infant. About a year before Viramontes' death, Silver received a call from the grandfather, who was worried about Viramontes. "He just didn't want him to get involved with the people drinking and what young kids do and are not supposed to be doing," Silver said after Viramontes' death. Silver added that "no matter what trouble [Viramontes has] ever been in, what he was doing, he was a good kid." Anyone with information regarding Viramontes' death is encouraged to call the San Jose Police Department or contact the Partida family.